Our Story - Sonbuilt Custom Homes Ltd. This is the hallmark of our story, the foundation on which we built and continue to grow our company. Our customers expect quality and excellence in the creation of their custom homes. To achieve this, they look for a builder they can trust who shares the same values. They seek a builder who makes these principles the very core of how the company operates. Every Sonbuilt custom home is designed and built with the assurance of quality products and craftsmanship. We strive to exceed expectations with every single home we build. We are known in the building industry and community for our passion for designing and building healthy high performance custom homes. Jonathan Zerkee, President of Sonbuilt Custom Homes Ltd, started the company in 1995. As a BCIT graduate, Jonathan grew the company in the 1990’s by gaining many levels of experience through various positions of site supervisor and project manager for major construction firms throughout the Lower Mainland. Through his work with Sonbuilt, Jonathan has gained a wide variety of experience in commercial and residential renovation and new construction. He became qualified as a Registered Housing Professional, Registered Renovation Professional, and certified in both R-2000 and ENERGY STAR construction. He has taken extensive training both in home design and building science. His desire is to stay current and ahead of his peers in the construction industry while building healthy energy efficient homes is a passion he has held since the beginning. 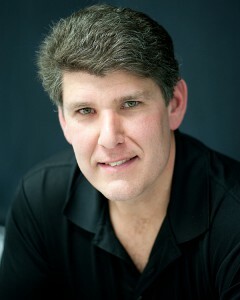 In 2012, Jonathan Zerkee was elected to be President of the Canadian Home Builder’s Association of the Fraser Valley. In 2014 Jonathan was accepted as a founding member of the Net Zero Energy Housing Council at the national level of the Canadian Home Builders Association. His involvement at both the local, provincial and national level of the CHBA has been extremely valuable. Sonbuilt has grown in its reputation among builders, suppliers and professionals in the industry. Our high standards for both quality building practices and honorable interactions with those we come in contact with are recognized by many. We take great pride in that we are well respected within our business community, and strive to maintain that aspect of our business in all avenues. As a team, we enjoy what we do! Not only do we build quality homes, we also aim to build quality, trust centered relationships with peers in the industry and most importantly, our customers. Today the team at Sonbuilt directs their passion towards building high performance homes that have a high level of indoor air quality. Durable, energy efficient, and user friendly homes.